We’re only halfway through 2015, yet the Presidential campaigns are already revving up for November 2016, a full 16 months before the 2016 Presidential Election. The GOP certainly craves the public’s attention, with 14 candidates officially running for the nomination, compared with the Democrat’s meager four. 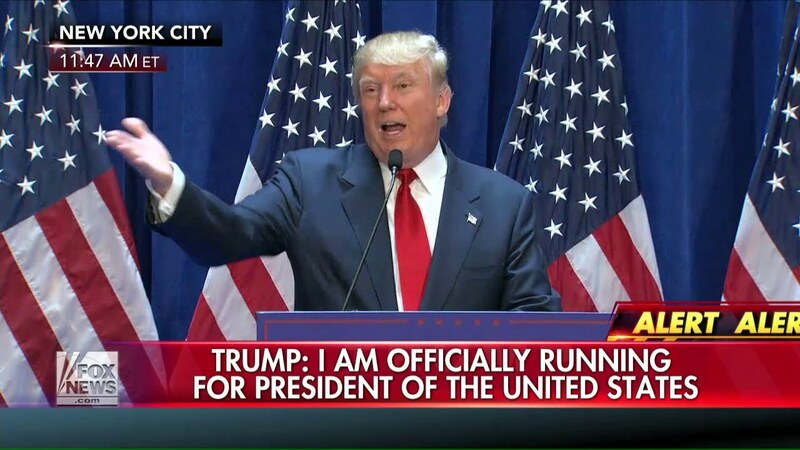 Four Republican candidates announced their entry into the 2016 Presidential race in June — Welcome to the club. 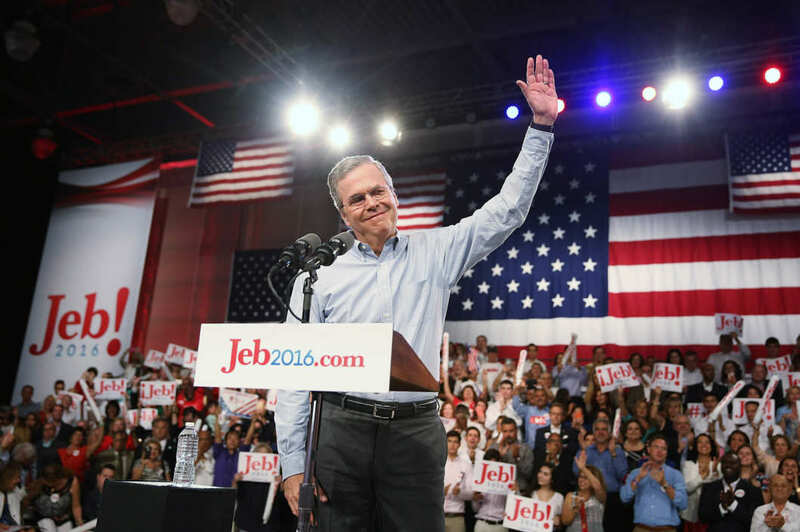 Jeb Bush rocked a casual button-down at his campaign announcement event. Clinton’s campaign is headquartered in Brooklyn (near Clinton Street, nonetheless), so New York-based Stringrs can expect to see her making copious appearances in and around New York in the near future. But keep in mind where political campaign events take place — whether the venue is public or private will critically impact your ability to shoot. Just last week, Clinton spoke at a fundraiser featuring performances by Lady Gaga and Tony Bennett at The Plaza Hotel — while it was a flashy affair, this is a good example of an event that required a special ticket and wouldn’t have been worth covering. Political events that happen at public places like libraries or the local BBQ joint are excellent opportunities to capture up-close-and-personal footage of a candidate in a more casual setting. Today, Ted Cruz will begin his ” A Time for Truth” book tour in Houston, Texas. In May, Rand Paul campaigned in Chicago, Hillary was in Dallas in early June for a fundraiser, and Bernie Sanders recently made a stop in Denver — you’ll see campaign events often in every Stringr market over the raucous next 17 months. If you’re not certain how to ascertain whether a certain event is explicitly private based on location analysis, you can always contact Stringr seven days per week, between 9:00 a.m. and 11:00 p.m., via our curation desk phone number at (347) 862-9241. Today in D.C., the Hispanic Association on Corporate Responsibility will respond to the anti-Latino statements made by Donald Trump. Keep in mind that candidates will be called upon to make statements about current events and breaking news during campaign season. For example, the Charleston shooting prompted candidate Rick Perry to make a statement calling for the removal of the confederate flag that is still flown in South Carolina, while Hillary Clinton made a statement that the confederate flag “shouldn’t fly anywhere.” The unrelenting news cycle can often it give candidates more incentive to make public statements. As usual, make sure to arrive at any Presidential campaign event about a half hour early to give yourself time to survey the venue, and what your best vantage point for shooting will be. Try to avoid standing in a location where the tops of people’s heads are visible at the bottom of your shot — if you can elevate yourself somehow, that’s always preferred. We look forward to viewing your footage throughout this lengthy campaign season — there will certainly be plenty of opportunities for it!